Werner Herzog What Have Ye Done? We heard the same buzz as everyone else: David Lynch and Werner Herzog teaming up for the first time to create a film based on the true events of a son killing his mother with a sword. 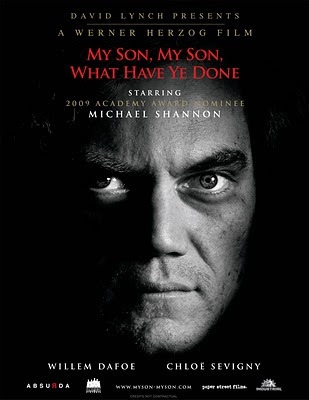 Then when the cast was selected we grew even more excited: Michael Shannon as the sword wielding son, Chloe Sevigny as the girlfriend, Udo Kier as an acting instructor, Willem Dafoe as a detective sorting out the facts, Brad Dourif as a hate filled ostrich farmer, and Grace Zabriskie as the mother. What could stand in the way of this film’s greatness? Well apparently slow plotting without meaning and pregnant with nonsensical surrealism can be quite a drag. Being a Herzog fan it comes as a surprise to see that My Son, My Son, What Have Ye Done? 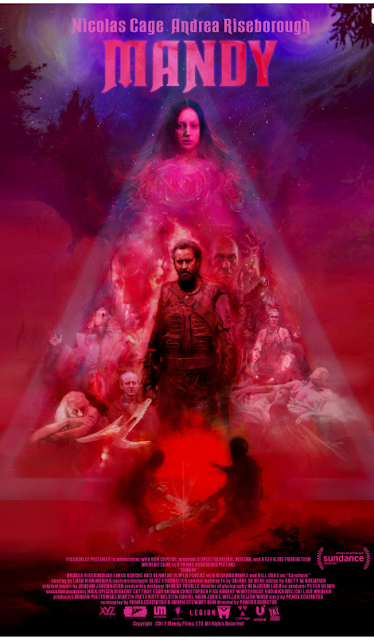 is so poorly constructed and executed, but in perspective it does feel like a stepping stone towards a new Herzog era. He is no stranger in the land of surrealism, just one look at Even Dwarfs Started Small and it is apparent that randomness has its place in his films. The biggest difference between a film like What Have Ye Done? And Even Dwarves in regard to their use of random sequences is that there used to be a point to his symbolism. Even Bad Lieutenant: Port Of Call New Orleans shows us images of iguanas and a dead man break dancing to enhance the character’s psychosis. Here when we see Grace Zabrinskie leering and doting over her son for an awkward amount of time it adds nothing to the psychology of Michael Shannon’s character. She is Mrs. Palmer strange which makes sense with Lynch overseeing the production. 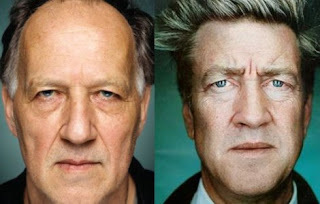 This is the connection between the old Herzog and the new Herzog – David Lynch. Adding Lynchian moments in a Herzog film feels foreign to the director’s style. These extended scenes with Zabrinskie remind us most of Lynch’s oeuvre. To end a dinner scene with all of our main characters, Herzog has them all freeze within the frame and the camera continues to linger, and while alone this scene is great for style it has no substance. Style without substance is the main problem with Herzog’s new film. A Lynch film and a Herzog film are two completely different calibers of weird, and when they come together here nothing lines up. The performances are riveting, each actor provides the film with moments of greatness. Michael Shannon is superb as the crazy son who believes a godlike spirit has overtaken him while on a rafting trip with friends. He believes his god is ‘the Quaker man’ of Quaker Oats. He spouts his religion throughout the film, which makes no sense. 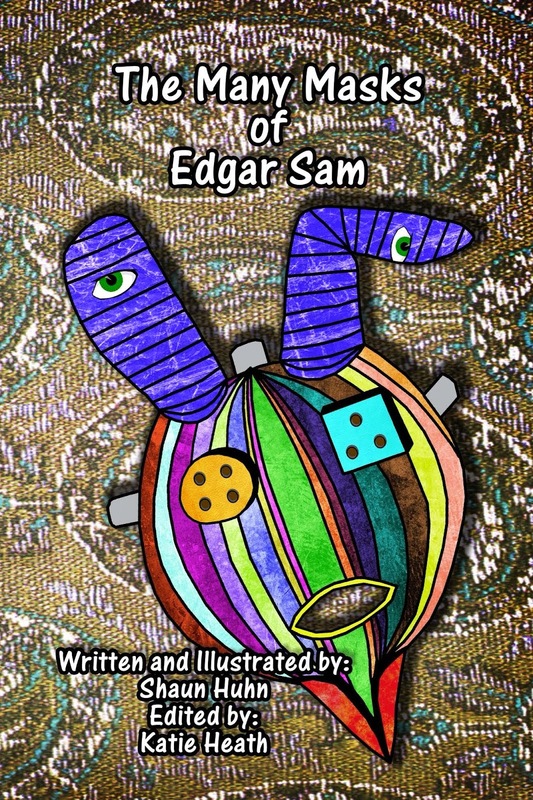 He believes that he must follow his urges. All of this can be read as a mental break from watching all of his friends die rafting while he decided to stay behind. When he comes back, he is completely changed. He pours himself into an acting role that promotes matricide and thus becomes the combination of a crazy religious zealot and method actor. As a short film Herzog would have an amazing piece of cinema, but as a 90 minute film none of the elements work together. We just hope this collaboration with Lynch adds new tools Herzog will develop for his future projects.